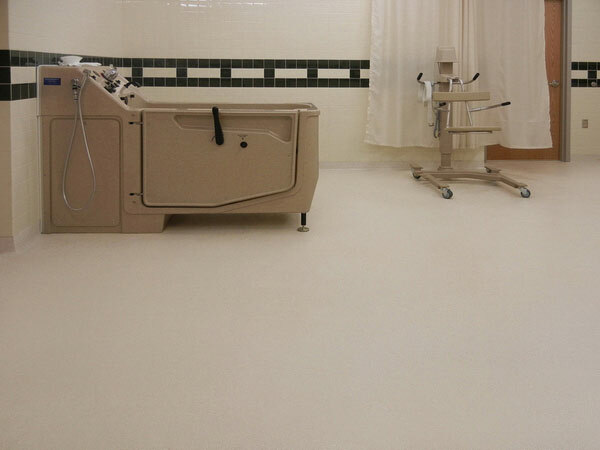 Few organizations are as dependent on sanitary and long-lasting flooring as hospitals and clinics. 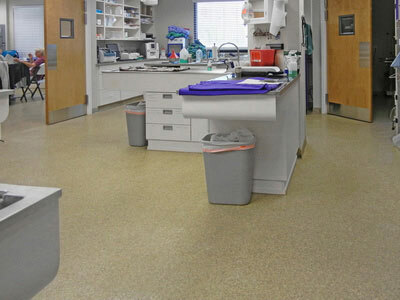 Medical and healthcare flooring must be designed, formulated and installed to accommodate highly demanding, 24/7 environments—and that’s where we come in. 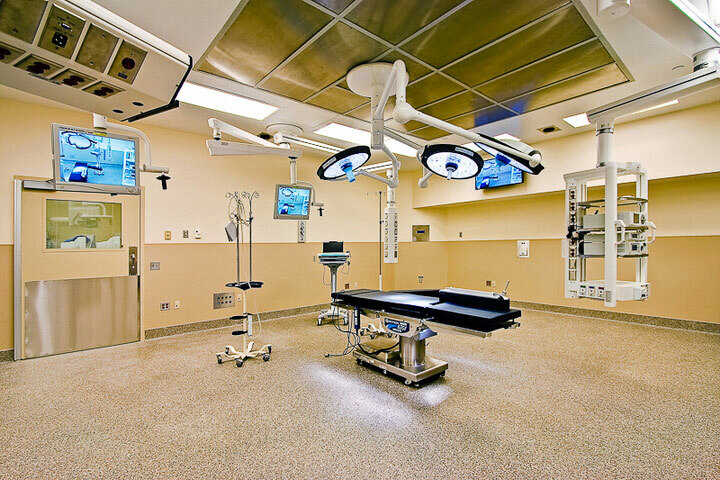 Everlast® Epoxy Flooring meets and exceeds hospital hygiene requirements with an EPA registered anti-microbial additive that restricts the growth of microorganisms. Our floors also have leading-edge chemical resistance against strong detergents, chemicals and disinfectants, making them an optimal choice for medical environments. Many floors promote their own antimicrobial layers on the top—but because they’re so close to the surface they can easily be breached by harsh detergents and chemicals commonly found in a hospital or clinic. Once the thin protective layer has been punctured or worn away by foot traffic and chemical stripping, it no longer offers the protection your facility—and your patients—demand. 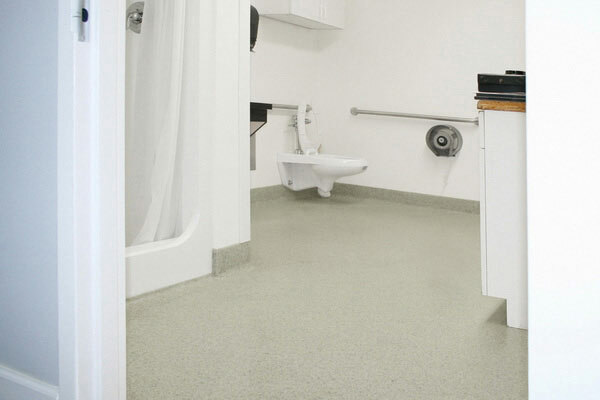 Everlast® Epoxy Flooring is non-porous and, as a result, unaffected by bodily fluids and other discharge. These built-in protections make it an ideal go-to for healthcare facilities now and in the future. Everlast® Epoxy keeps your staff and patients safe with coarse, pebbled and ribbed but, still, non-abrasive marble chip surfaces. No additional grit is needed, as your floor will have non-slip properties from the natural texture of the stone. Chances are, you’ve got a critical area that’s wet more often than not—think scrub rooms and showers, for starters. Our expert team can supplement the existing texture with our non-slip additive. This is added to the glaze coat to give the floor even better slip-and-fall protection, even under the wettest conditions. You only need detergent and water to keep Everlast® Epoxy floors clean. Because the surface is non-porous, dirt and grime are easily removed, saving you and your facility time, money and resources from day one. Most epoxy flooring is hard and brittle. At Everlast® Epoxy, though, we focus on creating floors that are strong, tough but, always, flexible. Because the majority of epoxy flooring is short on resins and long on aggregate, they’re naturally weaker—and, often, have a much higher profit margin that quality floors. Everlast® Floor is the opposite—we’re long on high quality resins and always use the correct amount of aggregate. The end result? Superior surface that’s 160 mils thick. And that means your Everlast® Floor will never crack or peel apart like many epoxy floor paints and quartz broadcast floors. Your flooring will hold up to heavy foot traffic today and tomorrow, without showing the wear and tear of traditional floors. Healthcare facilities want patients and their families to have the right mix of comfort and style. And that starts with your foundation—literally. Because they’re seamlessly installed, Everlast® flooring has no cracks or crevasses for dirt and bacteria to hide, leaving your floors clean, bright and sanitary with less cleaning time. And with a wide variety of bright, attractive colors, these long-lasting floors will ensure a welcoming environment that makes people feel at home. Our experienced certified installers can even create designs and logos to seamlessly align with your facility. Call today for a FREE sample and no-obligation estimate.